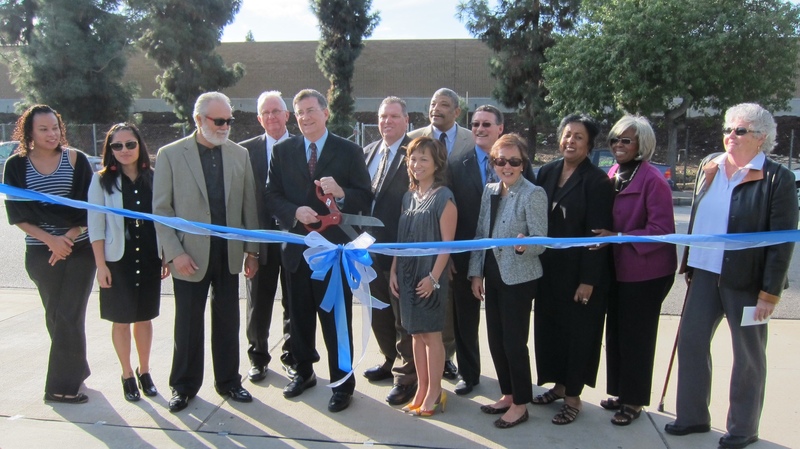 Metro Board Member John Fasana (holding the scissors) with school officials and civic leaders at the ceremony this morning. State Senator Carol Liu is second from right. Photo by Gayle Anderson/Metro.